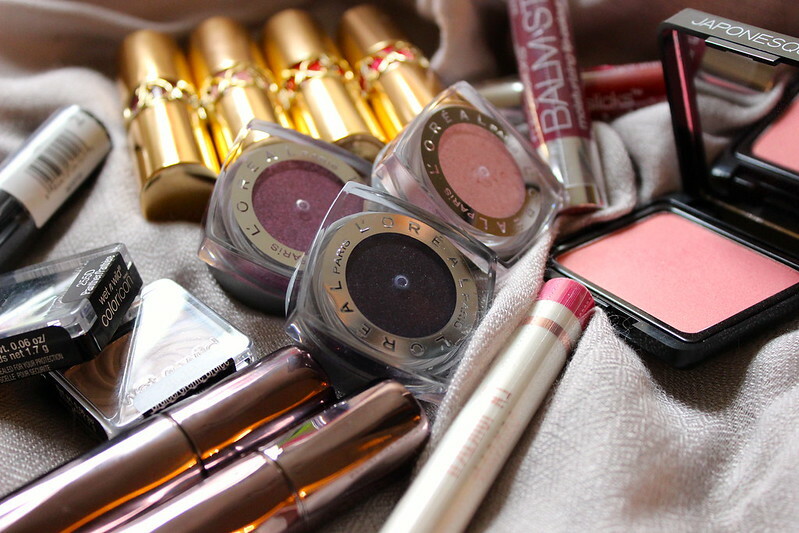 Aside from makeup looks, hauls are my favorite type of blog post just because it's reminiscent of a kid in a candy store... look at all the pretty things! Lets be honest though, I still feel like a kid when I'm at the candy store-- but that's just because I have a very huge sweet tooth. I don't know how long it took me to accumulate these but I admit that this haul in it's entirety is quite expensive (I'm looking at you, YSL). If you notice, a lot of them are doubles of the same product but just different colors. I'm a sucker for buying things over and over if it's a style and/or formula that I like. I already have the color "Native" and it's quickly becoming one of my favorite pinky nudes for smokey eyes. 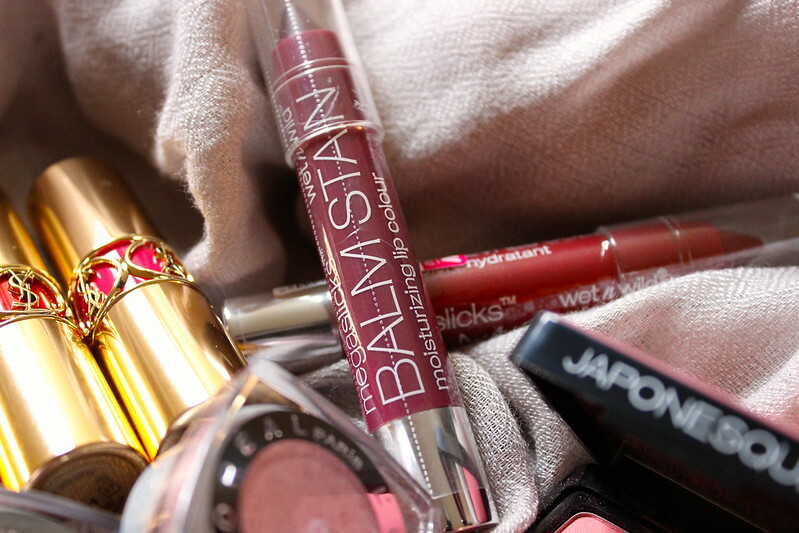 The consistency of these lip products are very good... pigmented, easy to swipe and hydrating on the lips. 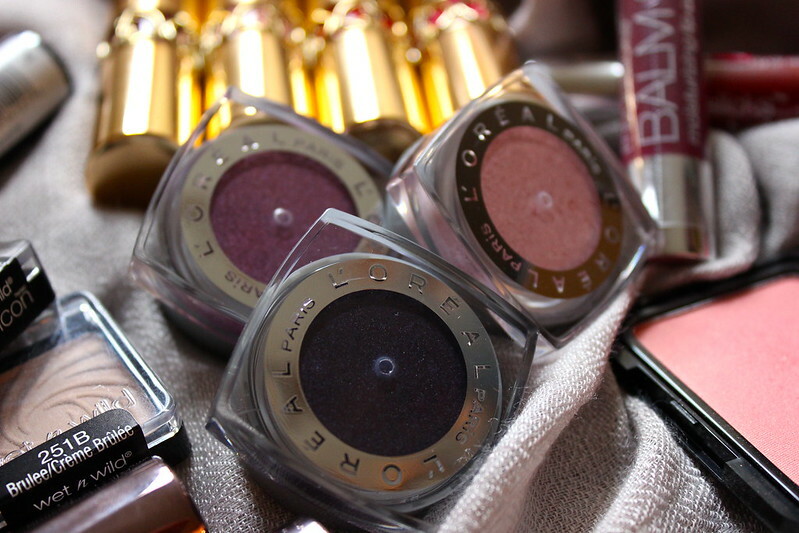 L'oreal's infallible eye-shadows are hands down my favorite favorite eye-shadows in the drugstore market. 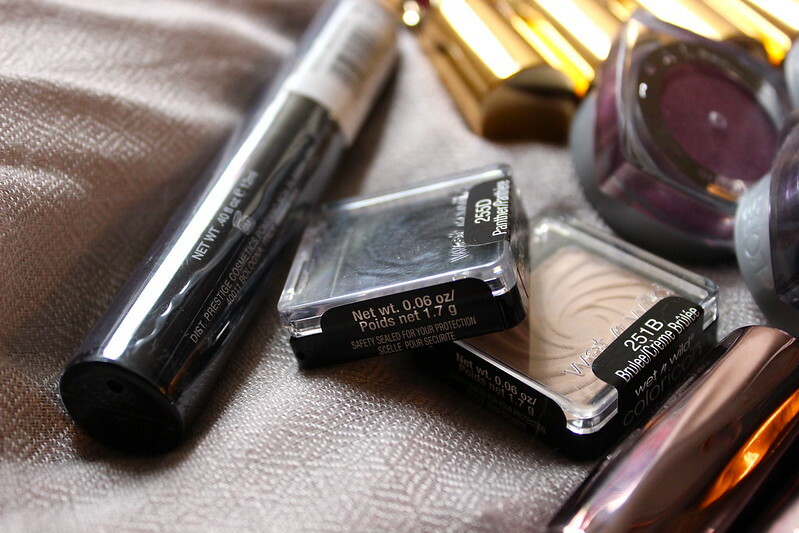 They're extremely soft & buttery, glides on effortlessly and very pigmented. If you use it wet (see my primer post HERE to know what I mean by wet) then they become even more vibrant. True Story: I have so much makeup that I RARELY hit pan on anything and Brulee is the only eyeshadow I've ever hit pan on. It is extremely versatile and I can use it as a matte brow highlight or an overall wash of color. I chose to pick up panther because I really don't have a black eyeshadow and if the texture is the same as Brulee's then i'm sold! I haven't tried the Prestige Mascara yet but I've heard that it really volumizes... God knows my thin, baby eyelashes need some vavoom! I haven't tried these yet and they were only $1.99 at my local Walgreens.. who can resist that? I'm gonna try and see if these are similar to the Revlon & Maybelline balm stains...stay tuned! 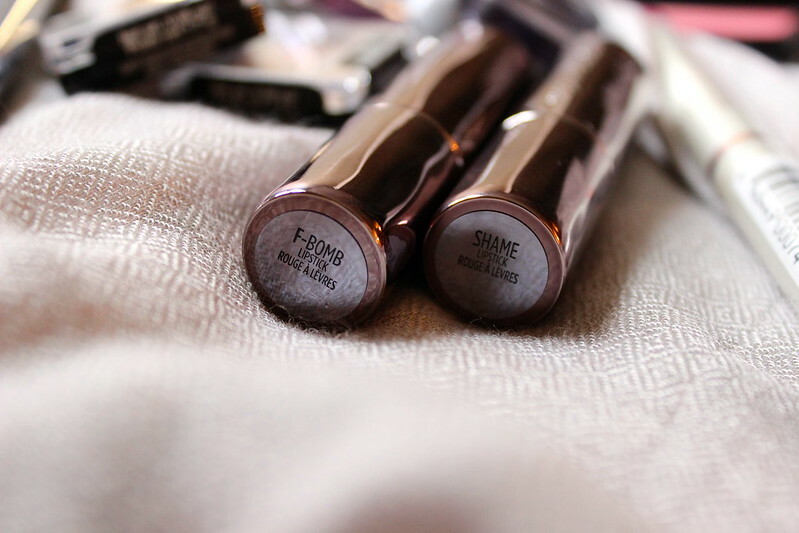 Ok, my obsession with these have become extremely unhealthy because they are so expensive -- but they are hands down my most favorite favorite lipstick formula in the whole entire world. To be completely honest the Urban Decay Revolution lipsticks are creamy and easy to apply, but after applying these The Revolution Lipstick's felt like it glided like bricks. 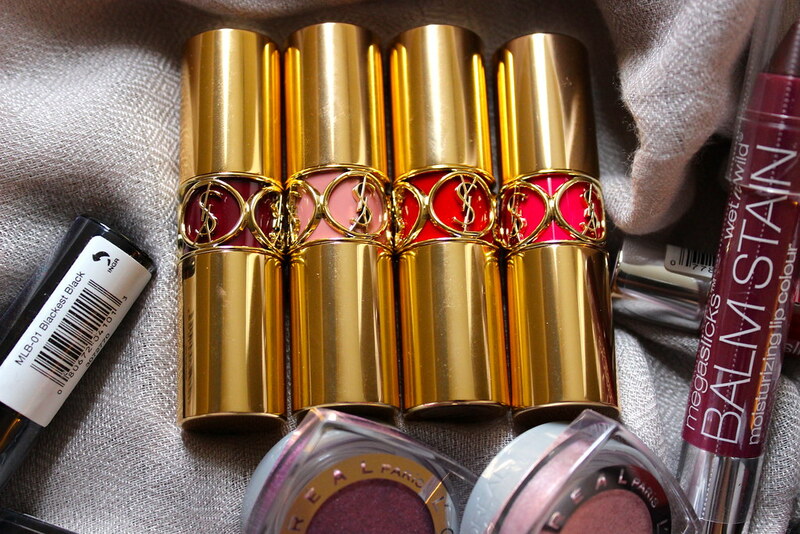 Not to say they aren't great because they are -- but these YSL lipsticks glide like butter (I say that so often, huh?) and are SO OPAQUE in one swipe on the lips. Bonus: They smell like mango! Yum! I'll have a more in depth review on this one as well as how it looks on the lips hopefully sometime soon. 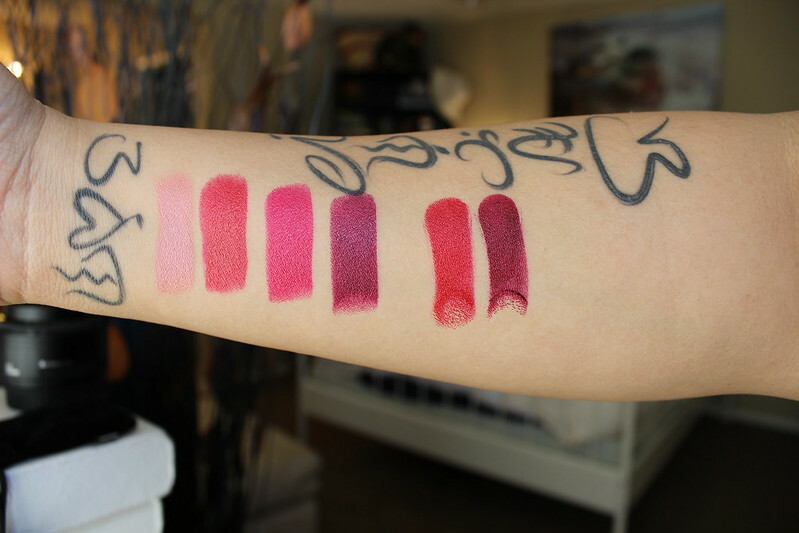 L-R: Wet N' Wild Megaslick Balm Stain Moisturizing Lip Color: Red-dy or Not & Lady and the Vamp, Kardashian Beauty Joystick Lip Lacquer: Shocking Pink (sorry I forgot to take a seperate picture of this! will post a review soon with the other colors I have! 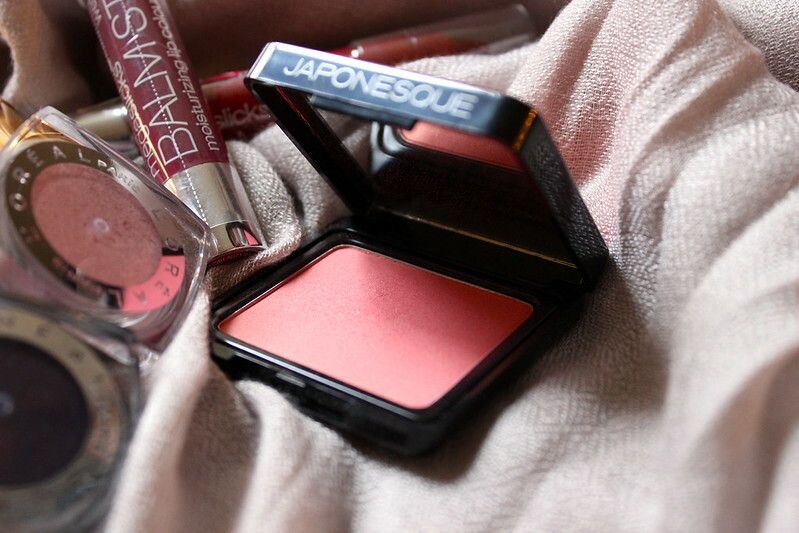 ), Japonesque Velvet Touch Blush #3, Wet N' Wild Color Icon Eyeshadow in Panther & Brulee, L'Oreal Infallible eyeshadows: Burst into Boom, Purple Priority & Always Pearly Pink. 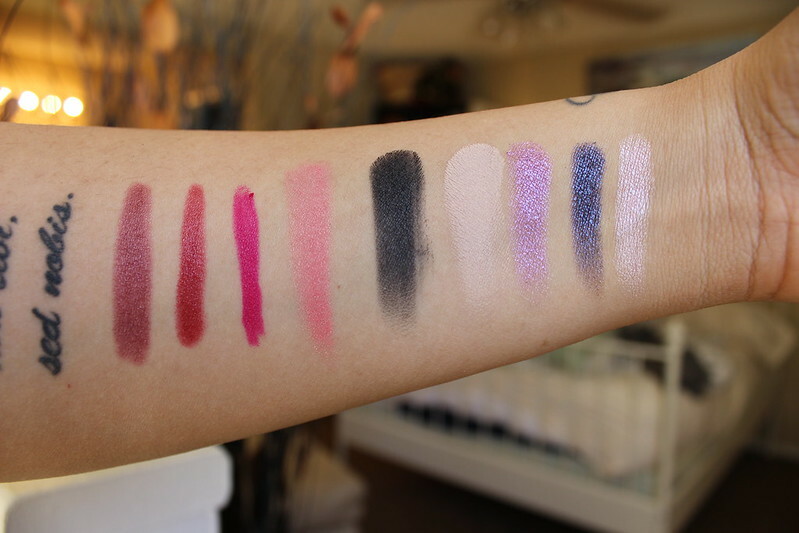 Do any of these products and/or swatches interest you?